In my anecdotal research, I’ve found the younger the person I talk to, the higher the likelihood I find someone who doesn’t listen to the radio – at all. Most are quickly becoming accustomed to getting the content they want exactly when they want it. Radio listening, by and large, doesn’t give them that versatility. “What about their favorite songs you say?” Their iPod satisfies that itch at a moment’s notice. Not a new idea, I know, but if your station remains nothing more than a distribution channel for music at this point, your clock has already started ticking. If your listener’s have never heard of Pandora, they soon will. Or maybe you’re crossing your fingers hoping they remain in the dark to all these new options for customized music delivery. Well, good luck with that. Do you have plans already underway to add your station’s own streaming app to the Apple App Store? If not, why? Still waiting for Steve Jobs to add an FM tuner to the iPhone? Good luck with that too. In the time-shifted world of Tivo, podcasts and hulu.com, terrestrial radio had better figure out a way to give listeners what they want, when they want it. First and foremost that means offering compelling content not available from anyone or anywhere else. And while content may be king, the crown is taking that content from the confines of an FM or AM signal and leveraging new, convenient and valuable-to-the-listener ways of accessing that content. 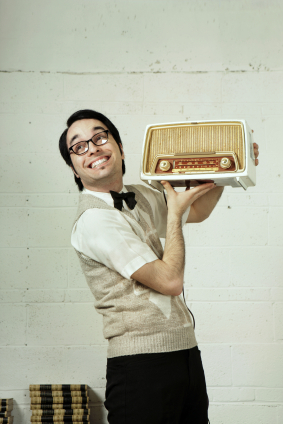 Is your station giving your listeners what they want (compelling and relevant personalities, only the great songs, reminders of not only the benefits your station offers but the values it shares with your listeners)? If so, then great. You’ve at least gotten the first step down. Are you, though, offering your listeners the opportunity to experience that content in a way that’s convenient for them, or are you limiting them to consuming only what’s coming out the speakers right now?